The coin, partly made of polymer, brings together German technology and Chinese artistry. Numismatic Guaranty Corporation™ (NGC®) has been named the Official Grading Service of the 2019 World Money Fair Polymer Commemorative Silver Panda, which is being released at the World Money Fair in Berlin on February 1-3, 2019. The coin is available at the show through Kuenker. 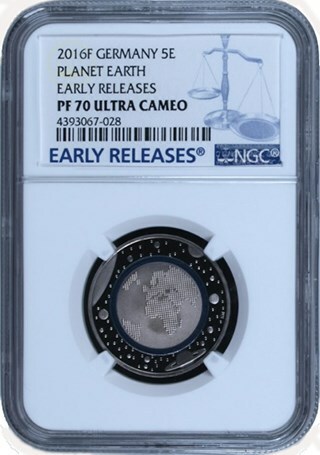 NGC is accepting submissions at the show for this and other coins at its booth. 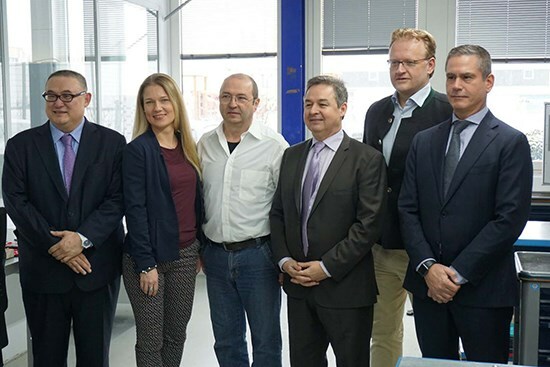 Richard Stein, NGC Head of European Operations, was honored to have taken part in the "first strike" ceremony for this coin on January 25 in Munich. NGC's Germany-based affiliate, NGC International GmbH (NGC Gmbh), has its office in central Munich. From left: Michael Chou, Champion; Inja MacClure, PR, Kuenker Auction; Bernard Schreiber, chief engineer, B.H Mayer mint; Mark Sutton, Middle Earth Mint; Alex Wegner, B.H. Mayer President and Mint master; Richard Stein, NGC Head of European Operations. 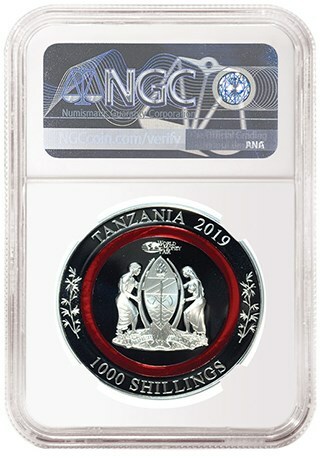 This 1,000 Shillings coin is issued under the authority of the United Republic of Tanzania in 2019 and produced by B.H. Mayer Mint. It is one ounce in weight, 40 mm in diameter and .999 in fineness. The mintage is limited to 1,000 pieces. The obverse features the National Shield of Tanzania and the World Money Fair logo within circles of a red polymer ring. The reverse features a young panda bear on a tree within a red polymer ring and Chinese New Year lanterns. The coin is a result of a combination of German technology (a nod to the host country of the show) and Chinese artistry (panda designs are popular as "show coins" throughout the world). 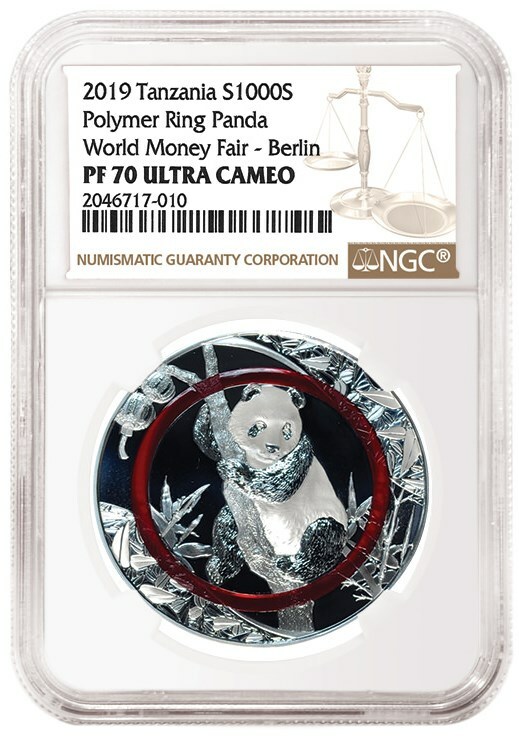 The 2019 World Money Fair Polymer Commemorative Silver Panda was inspired by Michael Chou of Champion Auction and Mark Sutton of Middle Earth Mint, with design by Shanghai Mint Senior Designer Yu Min, a top Chinese panda coin designer and Coin of the Year Lifetime Achievement Award winner. It was produced by B.H. Mayer Mint in Munich, Germany. The concept was to produce a new type of panda coin using the best aspects of Chinese design and the latest design and production technologies. The concept started in the summer of 2018 with a meeting between Mr. Chou and Mr. Sutton at the American Numismatic Association World's Fair of Money convention in Philadelphia, Pennsylvania, USA. In September, there was a follow-up visit by Mr. Sutton and Alex Wegner, President of B.H. Mayer Mint, to Shanghai to meet with Mr. Chou and Designer Yu Min to develop this new panda coin. During this period, they visited Shanghai Mint Co., Ltd., Shanghai Gold Coin Investment Co., Ltd., and Shanghai New Century Commemorative Coins Manufacturing Co., Ltd. Mr. Sutton and Mr. Chou also attended the Top Gold Coins Seung Hoi Tan Exhibition and the China Gold Coin Collectors Symposium in Shanghai with leading speakers and attendees from China, including Vice President of China Gold Coin Zhang Xiangjun, and they visited the Shanghai Bank Museum. During the meeting with Mr. Yu, the Shanghai Mint Co., Ltd. Senior Designer, Mr. Wegner discussed the use of 3-D modeling software, which is used in the movie industry, in the design process to create more depth and contrast and texture to the coin. Using Mr. Yu’s panda design and the traditional art of 3-D sculptured plasters combined with this innovative design software and Mayer’s production technology helped to produce a new technically innovative panda coin. In November 2018, further meetings between Mr. Chou and Mr. Wegner and the B.H. 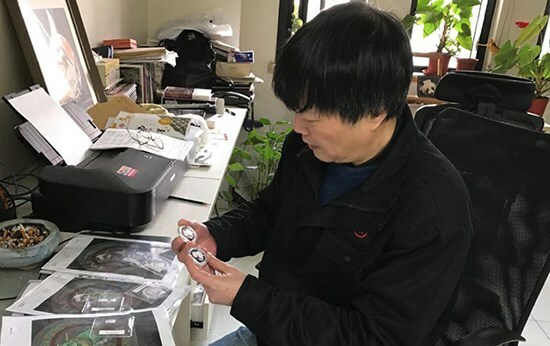 Mayer Mint team at the Beijing International Coin Convention confirmed some proof of concept and dates for the delivery of various sample patterns. In December 2018, six different dies were used to produce six different proof of concept patterns with different relief treatment processes, such as silk matte, semi-gloss, laser black, polish and semi-polish. Mr. Chou and Mr. Wegner visited Shanghai shortly after the striking of the sample patterns to go over the different samples with the designer, Mr. Yu. During the meeting in Shanghai, a decision was made on which sample patterns were to be the final production version. The polymer technology for minting is a German invention combining polymer with metallic coin blanks. The 2018 Overall Krause Publication Coin of the Year 2016, a German 5 Euro Earth, was also made with the polymer ring.